Original straps don't often last through the decades as well as metal bracelets and so it's less common to see them on vintage writwatches. Please show any original or vintage straps in use on your watches. 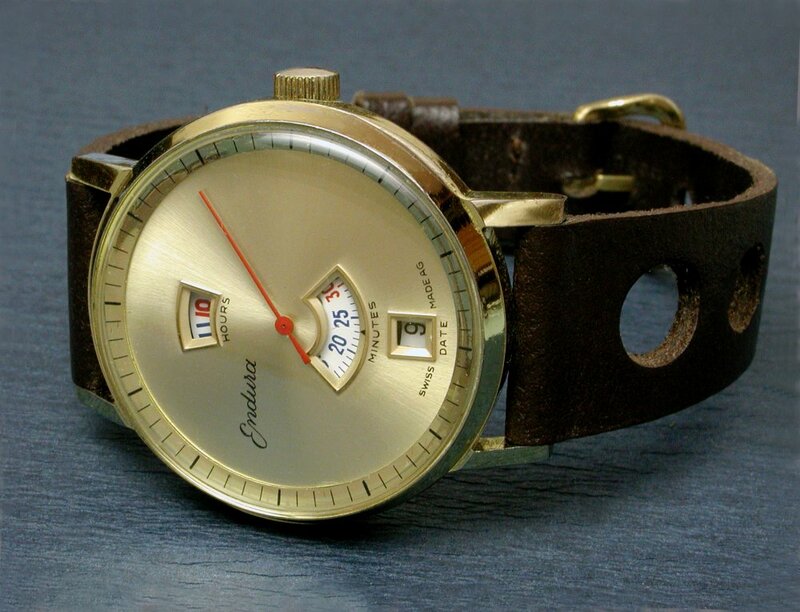 Of my vintage wristwatches on leather most are on more modern straps of various styles. Here's some that aren't. 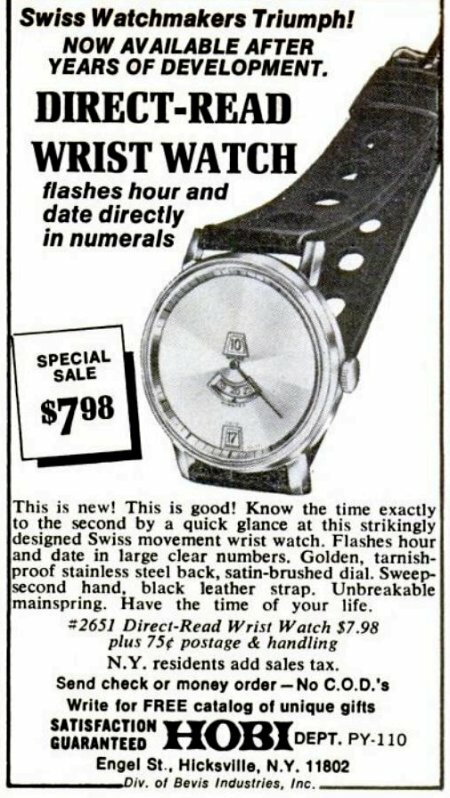 However, given that such watches were advertised on similar straps, (see the 1970 Popular Science magazine ad below), I expect it is quite possibly original to the watch. 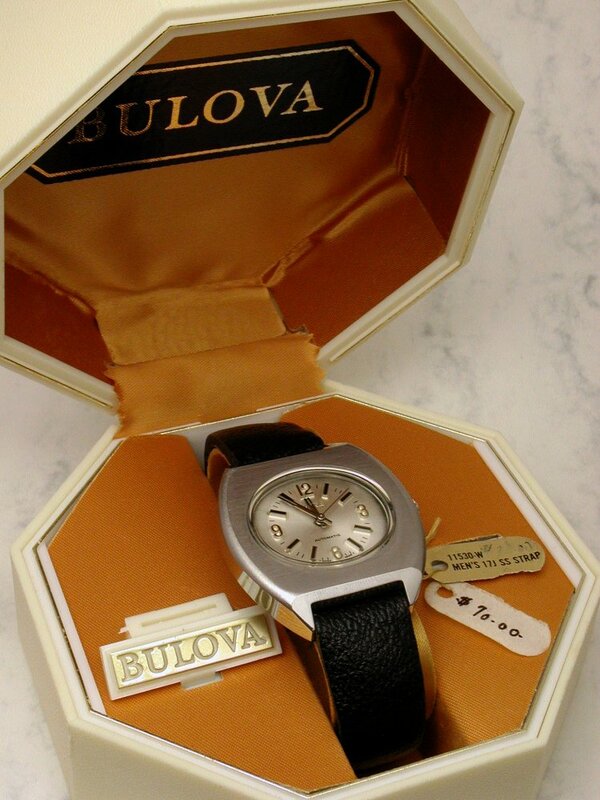 This 1973 Bulova Excellence sat unused in its watch box for over four decades. 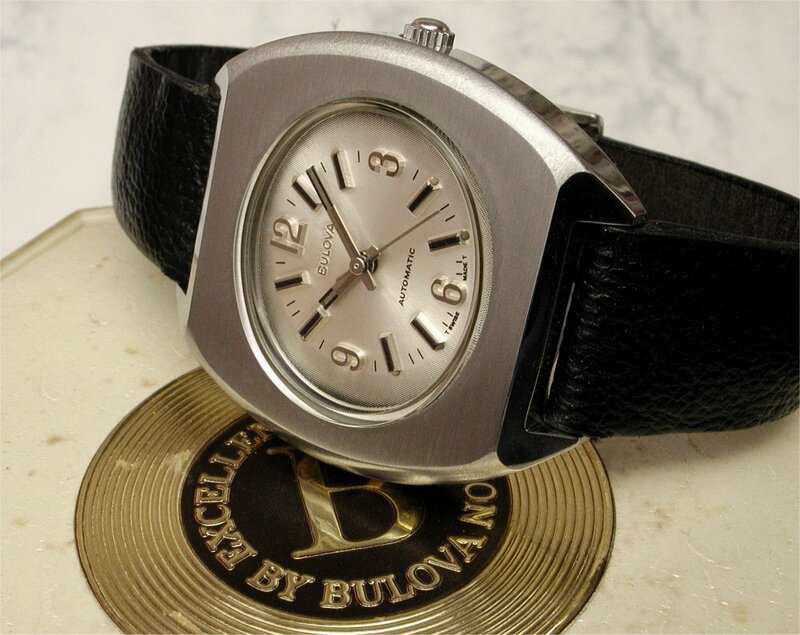 In that time the original Bulova-signed strap has become set into a curved shape. 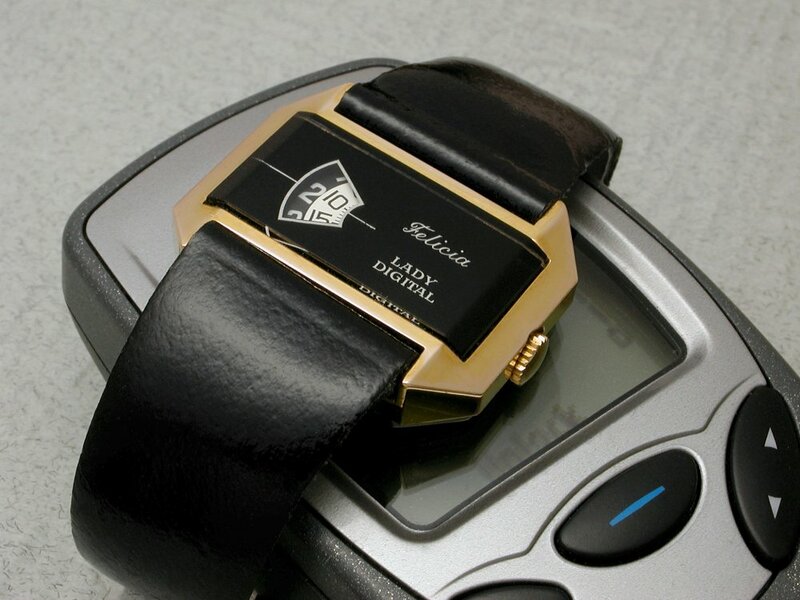 Another case here with this Felicia Lady Digital of an original leather strap that has set in its curved shape over the decades. Previous Topic: Watchmaker recommendation in NYC?